Tag "x-men days of future past"
In 1973, Mystique, the shape-shifting mutant, killed industrialist and scientist Bolivar Trask. Mystique’s crime led to her capture and experimentation with her DNA by Trask Industries. Trask perfected their sentinel robots created to hunt and kill mutants using shape-shifting powers. In the present, the sentinels have eviscerated the mutant population humans carrying mutant genes. On the verge of collapse, the X-Men, led by Professor X, send Wolverine in the past to prevent Mystique’s from murdering Trask. Will Wolverine convince enough mutants from 1973 to help him stop Mystique? My colleague wrote in his earlier review of X-Men Days of Future Past that it is the best X-Men film and the best super hero movie done. I agree with him. I consider X-Men First Class and the second X-Men film X2: X-Men United the best movies in this franchise so far. The first X-Men movie was a good start but cheesy. The third movie in the franchise, X-Men: The Last Stand was bad and hurt killed the franchise. X-Men Origins: Wolverine started the tradition of telling stories set in the past. In hindsight Origins was not good. Last year’s Wolverine was okay but not spectacular. Other great super hero films inspired by comic books are Spider-man 2, The Dark Knight, Iron-Man 2 and The Avengers. Notice that except for the Avengers, all the movies in my list were sequels of their first outings. Their directors and creative crews polished uneven first shots into marvels (pun intended). X-Men Days of Future Past, like The Avengers, is a composite film and a sequel. It unites of several storylines in its cinematic universe from many different movies. Days of Future Past joins the timeline of the original 2000 X-Men franchise with the 2011 X-Men First Class movie. Yet, it was able to integrate the best elements from many previous X-Men movies into one entertaining core. Days of Future Past has one difference from the Avengers. It is a reboot of the cinematic franchise. It allows filmmakers to create new stories without the burden of bad continuity. For example, forget the death of Cyclops, the two Emma Frost, and Professor X's callous behaviour with Mystique in present-day films. Days of Future Past did not explain how Magneto got his powers back or how the Professor survived his attack from Jean Grey in Last Stand. Another small problem with Days of Future Past is how did Magneto control the sentinels? 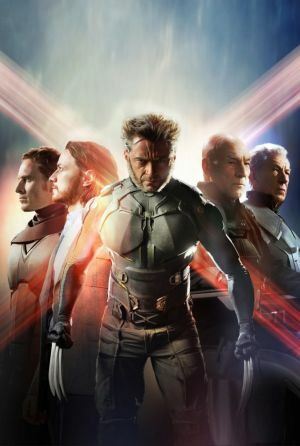 The original Days of Future Past storyline from the comic books by Chris Claremont and John Byrne inspired the plot of this film. In the comics, it was Kitty Pryde who travelled in the time to stop Mystique from murdering an important figure. Using Wolverine made sense as Pryde wasn’t born then. The movie raised one issue that historians have to deal with every day. Can one event change the course of history? Are many variables intertwined in billon connections the cause for how history changes? The movie hints that the past always tries to correct itself as actors like Wolverine attempt to change the future. At point, it seemed like Wolverine’s trip to 1973 was futile and that no matter what happened, Mystique would kill Trask. Magneto, true to himself became the leading villain of the film after agreeing to work with Wolverine. His attitude against Mystique was like how he turned on her in X-Men Last Stand. It was brilliant. Great comic book movies rely on strong character-driven stories. While there are many fights and action sequences, this is not the highlight of film. Every choice Professor X, Beast, Wolverine, Magneto and Mystique made mattered and changed history. One of the best sequences in the film is the one with Quicksilver, the super fast mutant and as hinted in the film, the son of Magneto. Quicksilver in the comic books is often moody and annoyed. This one is a prankster much like how DC Comics’ Flash appears in cartoons and recent comics. Another Quicksilver will star in the next Avengers’ film. I bet the one in X-Men Days of Future Past will be everyone’s favourite version. One thing that I enjoyed is Mystique’s fighting style. Jennifer Lawrence used the same techniques Rebecca Romjin, the previous actress portraying Mystique used. She uses her body as a counterweight and slides on surfaces while attacking her opponents. I enjoyed the design of the 1973 sentinels. I care less for the present-day ones. X-Men Days of Future Past is great for geeks. Yet, without any familiarity with the X-men comics and films, it will entertain any moviegoer. It is a great film.